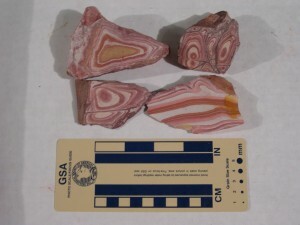 Wonderstone found at Vernon Hills, Tooele County. A striking feature of Vernon Hills wonderstone is its intricately folded bands that create colorful designs in cream, yellow-brown, and multiple shades of maroon. 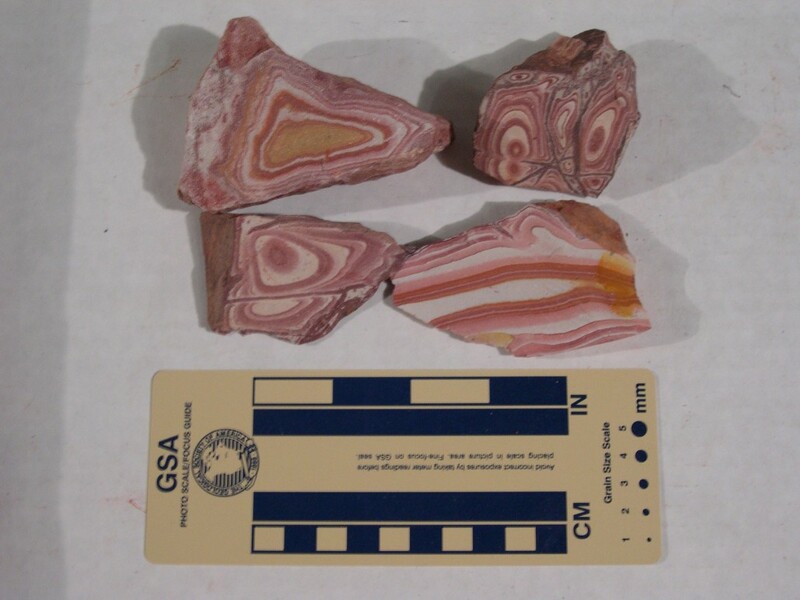 The Vernon Hills wonderstone is a welded-vitric tuff (vitric means glassy) of rhyolitic composition. It is a volcanic rock composed predominantly of volcanic glass particles which have been welded or stuck together by heat and compacted by the weight of overlying material. 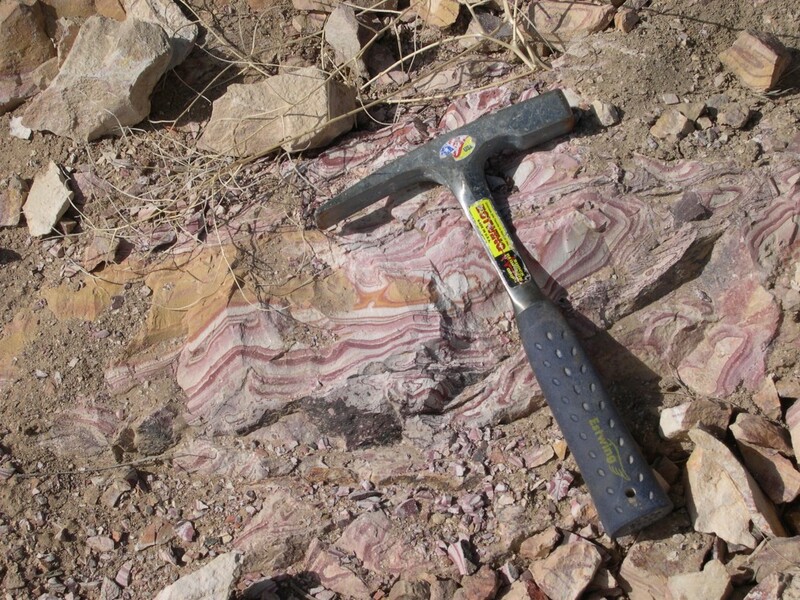 Alteration of the rock by circulating ground water produced the colorful banding. The maroon and yellow-brown colors are due to the presence of iron oxides. From the southern edge of Tooele, travel south on State Highway 36 about 31 miles to the town of Vernon. Continue on highway 36 an additional 4 1/2 miles until you reach a dirt road adjacent to and west of the railroad tracks. Turn north (left) onto the dirt road and travel next to the railroad tracks for 1.7 miles until the road curves to the northwest. From the curve, travel 0.4 miles to the end of the road. Piles of wonderstone are located near the end of the road. A private mining claim is in this area so do not collect on any marked claims or rock piles showing signs of recent mining activity. Utah highway map, Rush Valley 1:100,000-scale topographic map, and Lofgreen 7.5-minute topographic map. Topographic maps can be obtained from the Natural Resources Map & Bookstore, 1594 North Temple, Salt Lake City, UT 84114-6100, (801) 537-3320 or 1-888-UTAH MAP. 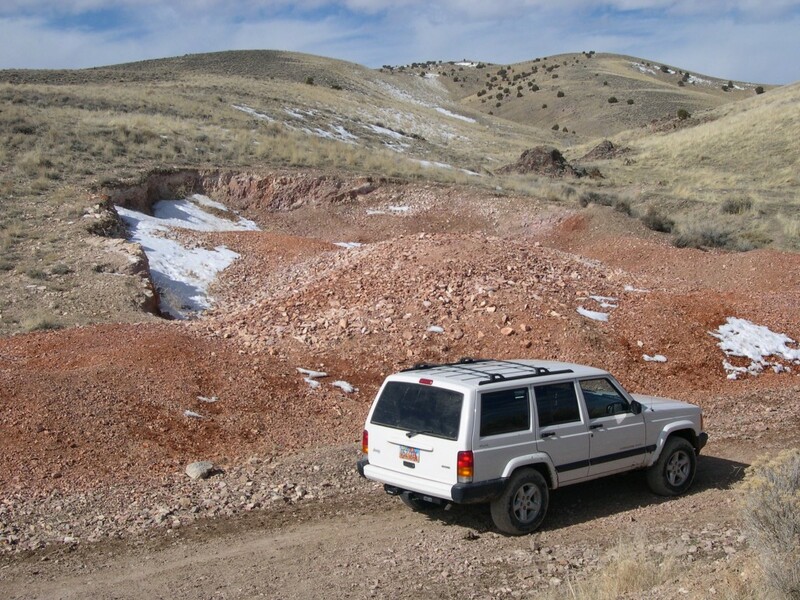 Private mining claim and Bureau of Land Management (BLM) public lands. A four-wheel-drive vehicle is recommended. Road can be muddy depending on weather conditions. Do not collect on any marked claims or rock piles showing signs of recent mining activity. Bring a rock hammer and protective eyewear if you intend to break pieces of rock. A hat and water are recommended. Please carry out your trash. Have fun collecting!